By Hazel Chua on 12/29/14 • Leave a comment! Each Doctor has different preferences when it comes to food, and so does every Whovian. From Jelly Babies and celery to Jammie Dodgers and fish fingers, every Doctor’s got a right to choose what he puts on his plate. 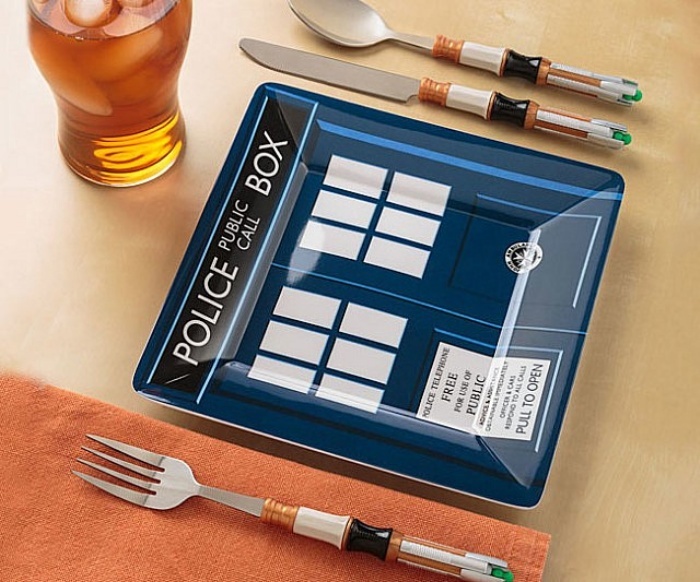 That actually applies to everyone, and isn’t limited to grub…in fact, if you’re looking for new cutlery because you broke your plate during the Christmas festivities, then you might want to get this Doctor Who-themed set. 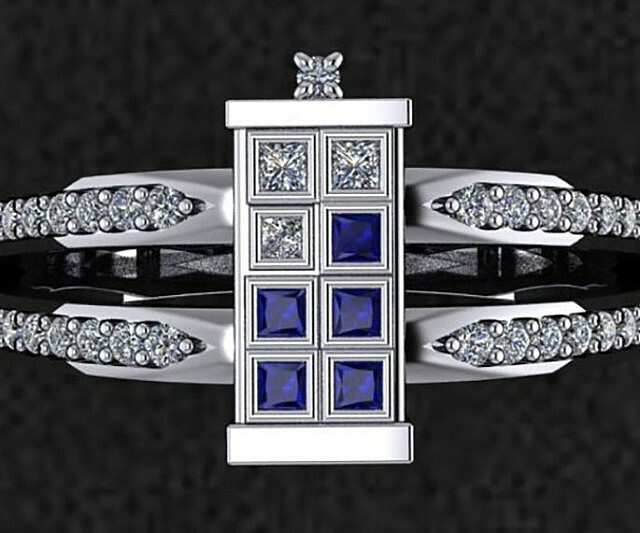 It featured TARDIS right on the plate so you can’t help but stare at it with every bite. The spoon, fork, and knife have the same handle as the Sonic Screwdriver, so that makes them instantly way more awesome than your average cutlery. The set is available for $29.99. 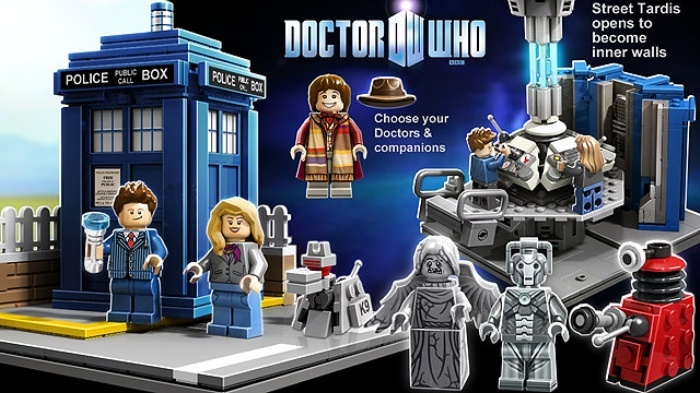 It’s surprising how something–or rather, someone–as popular as Doctor Who still doesn’t have a LEGO set to call his own. That might soon change if the set created by Andrew Clark gets enough votes on the LEGO Cuuso website. It’s currently has about 8,600 supporters, which is short of the 10,000 required before LEGO reviews the design and gives the decision on whether or not they’ll make the set into a reality. Andrew’s Doctor Who set features all the well-known elements from the hit show, including the Doctor (of course! 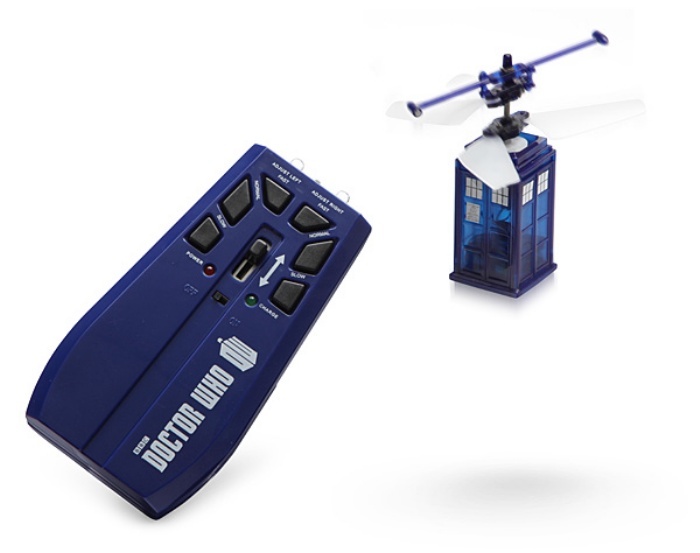 ), his sonic screwdriver, and TARDIS. By Hazel Chua on 03/06/14 • Leave a comment! 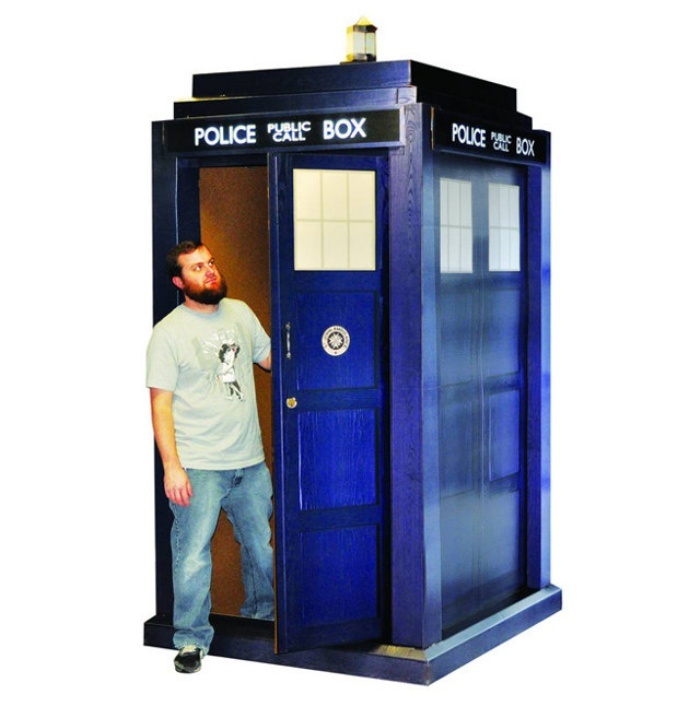 If you have two hundred bucks to spare and are a die-hard Whovian who would give anything to have his own TARDIS, then this cardboard stand-up that looks just like the one the Doctor has might just be the thing for you. The exterior features the time machine’s signature blue hue with the familiar “police box” sign painted right on top. The cardboard stand-up measures 55-inches square by 180-inches tall and is big enough to fit a fully-grown man (and several more–although you shouldn’t expect it to magically expand to fit your entire gang!). It’s available from Urban Collector for $225. Alternatively, you can just go and get some paint from Home Depot and paint over an empty refrigerator box. By Hazel Chua on 06/28/13 • Leave a comment! 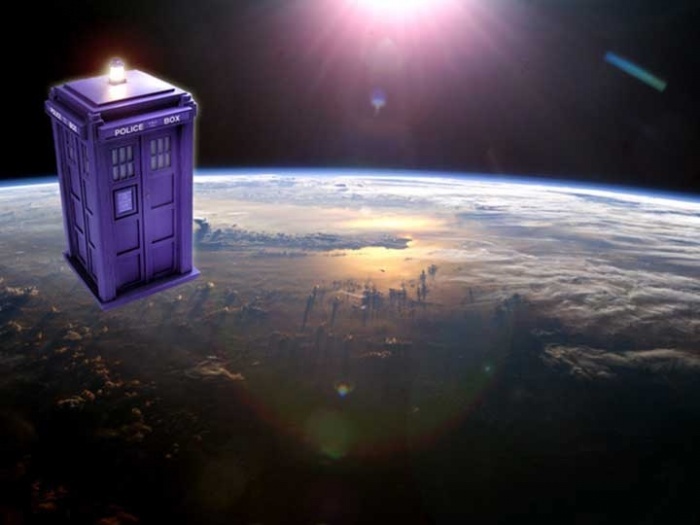 Doctor Who’s TARDIS is a space and time traveling machine, and now it’s finally headed to outer space. TARDIS is no stranger to actual space travel in the fictional world, but it’s just a decorated blue telephone box with a very notable look here on Earth. Legions of Doctor Who fans want to change that, though, as they have raised enough funds to send a TARDIS-shaped satellite into Earth’s orbit. By Hazel Chua on 03/04/13 • Leave a comment! You’ll never be thirsty or run out of drinks ever again, not when you’ve got the TARDIS Soda Machine–and an efficient crew who’s on top of the inventory, that is. 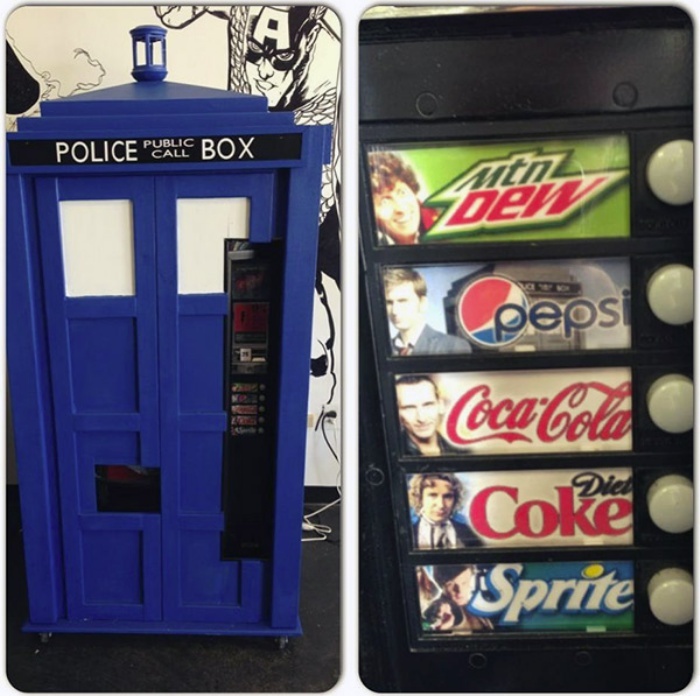 Doctor Who didn’t turn TARDIS into a soda dispensing machine to give mankind a never-ending supply of sugary and fizzy drinks. Rather, he merely inspired a bunch of guys from Epic Comics to turn their soda machine into the time and space-traveling box that has gotten the Doctor out of a lot of tough scraps. You can see some photos of the build after the break. By Hazel Chua on 12/24/12 • Leave a comment! Okay, so I lied. 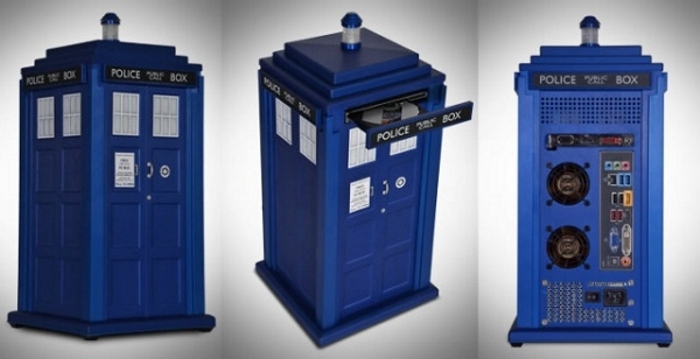 These TARDIS computer cases obviously can’t store a gazillion terabytes of data (how big is a gazillion anyway?) But if it really were the Doctor’s, then I bet it could store as much data as he’d want to cram into it. 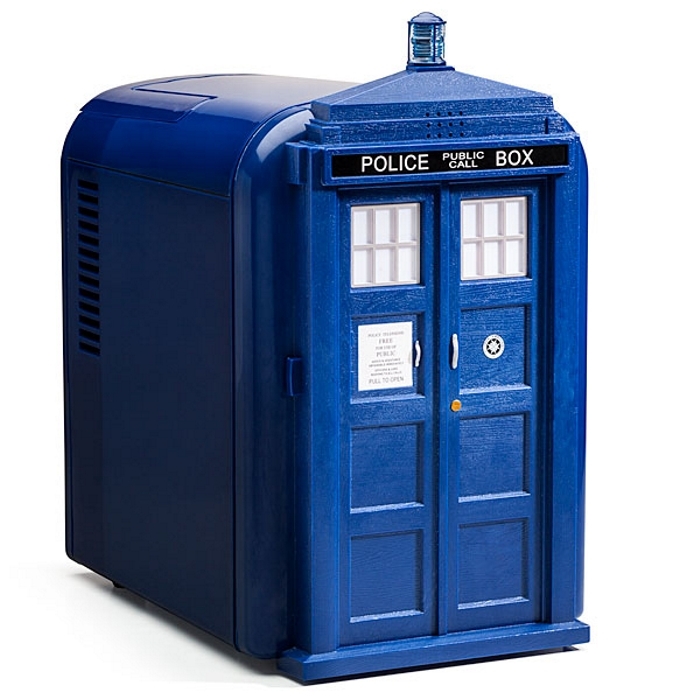 This TARDIS Computer Case is an officially-licensed product by retailer Scan. You can configure the systems based on your preferences, but the base starts at £936 (around $1,511) for an Intel Pentium 3.1GHz Dual Core processor with 8GB of RAM and a 500GB hard drive. You could get more bang from your buck somewhere else, but it won’t look as good as this case right here. Check out it’s product page for more information and more options. By Hazel Chua on 11/26/12 • Leave a comment! Doctor Who is the only doctor who never really ever dies. That’s because whenever he’s on the verge of death (and eventually dies), he regenerates and comes back to Earth with a new face, a new personality, and a whole new set of odd quirks and weird preferences. He’ll still have his trusty sonic screwdriver and TARDIS, of course, but aside from that, everything changes. Including his favorite food. If you follow the show closely, then you’ll know that the eleventh reincarnation (that’s the present Doctor Who) loves chomping down fish fingers and custard. Knowing him, he’ll probably want to hoard a lifetime’s supply of his favorite grub in his trusty fridge. And since he’s the Doctor, there’s only one refrigerator that can meet his needs: the TARDIS Mini Fridge.